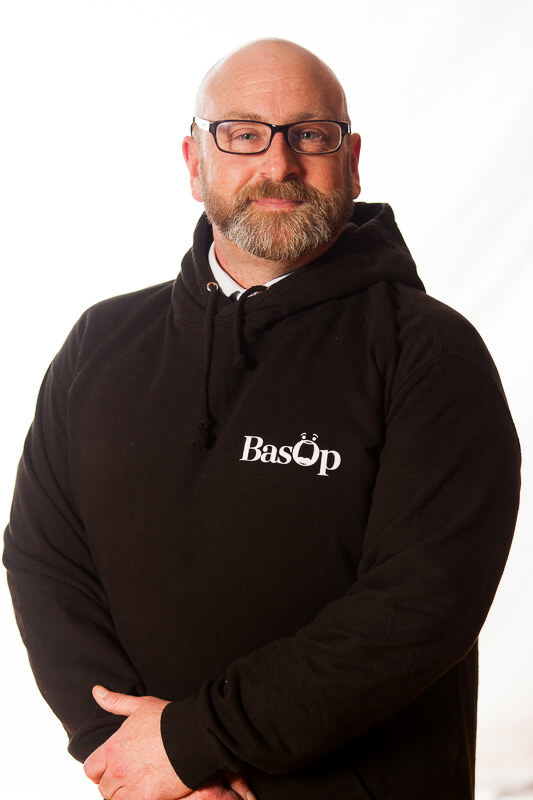 Steve first joined Basop as a chorus member for Oliver! back in 2005 and everything spring boarded from that. He has been involved in every production up until 2016, including the plays that were performed mid season. He felt lucky to direct Annie, Sound of Music and Sweet Charity for Basop as well Jesus Christ Superstar with TTS, where he was fortunate enough to work with current West End performers. Steve has performed with LODS in the part of Uncle Ernie in Tommy and also appeared at the Tristan Bates Theatre in the West End in a devised piece called A&E, with New Town Talent. Steve has dipped his toe into the world of the classics as Grumio in Southend Shakespeare Company’s Taming of the Shrew in a string of open air performances. He has performed, arranged, produced and directed in many fundraising concerts raising money for well-known charities and for Basop itself. He also fronted a Mod tribute band, giving him the opportunity to perform songs from his heroes Steve Marriot, Roger Daltrey and Paul Weller. Steve will tell you that Basop will always be a big part of him and has played a huge part in getting him where he is today.